Earn $4.63 in VIP credit (463 points)What's This? 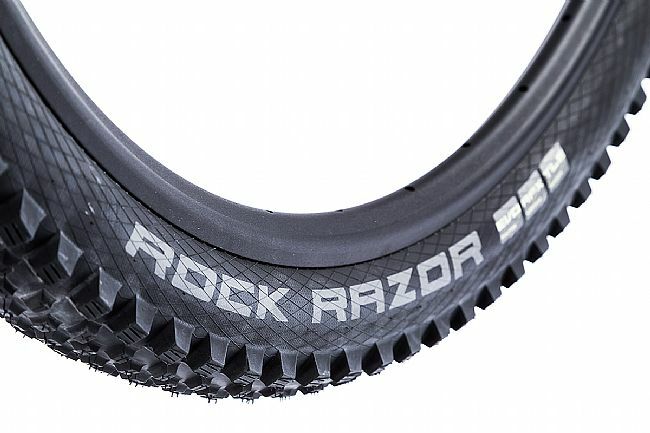 The Schwalbe Rock Razor ADDIX 27.5" Plus Tire is ideally suited to very fast, dry trail riding. Featuring a fast, semi-open tread pattern optimized for use with the rear wheel, the Rock Razor rolls fast with plenty of traction for loose, dry terrain, yet digs in deep for grip while cornering. 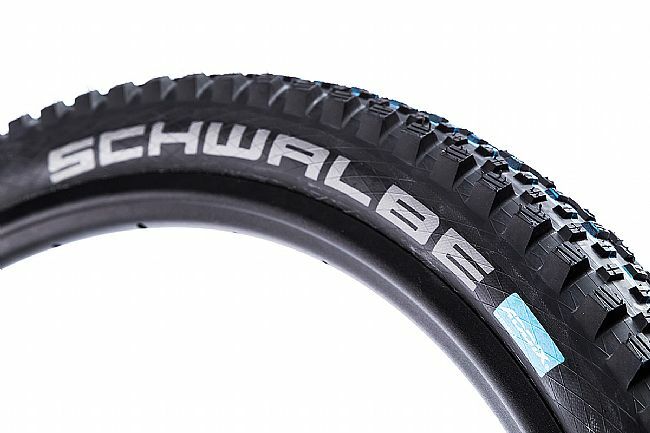 Utilizing Schwalbe's ADDIX Speedgrip compound, this tire's supple rubber rolls fast with lowered rolling resistance without compromising on grip. Under their ultra-lightweight rubber, they've turned to their SnakeSkin technology throughout the sidewalls, adding further protection from punctures, tears, or other flat-causing sources of wear-and-tear. 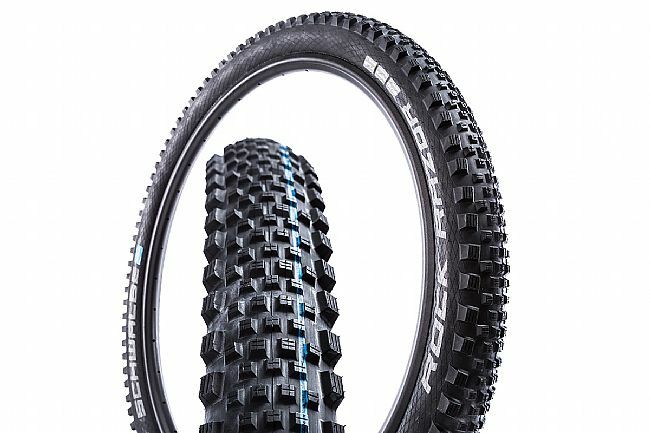 The Schwalbe Rocket Razor ADDIX 27.5" Plus MTB Tire is available in one width: 27.5" x 2.6". This tire is also available for standard 27.5" and 29" applications. Fast-rolling 27.5" Plus tire optimized for use in dry, high-speed trail riding. ADDIX Speedgrip compound rolls fast and efficiently without sacrificing grip. SnakeSkin technology in sidewalls protects against punctures, slashes, and wear and tear. Tubeless Easy technology makes installing, removing, and seating tubeless tires easy.